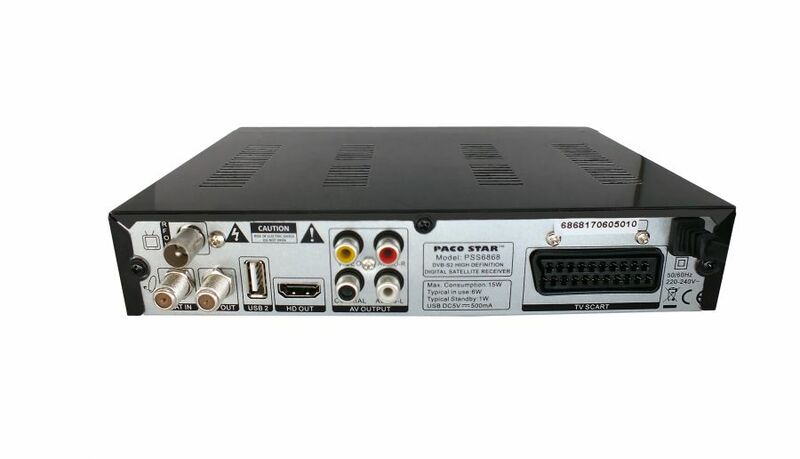 HD Satellite Receiver PACOSTAR-PSS6868 with modulator, metal box, LED display, front panel operation buttons. 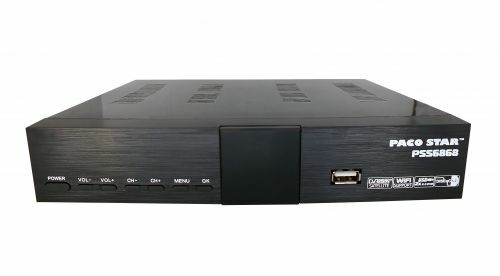 Connectivity to a wireless internet network via USB WiFi dongle adapter (not included), playback of various files via USB, up to 5000 TV and radio channels, support for DiSEqC 1.0 / 1.1 / 1.2 / 1.3 (USALS) motors, CCCam, Newcamd, MSCAM, SSSP, Avanti support and many more. Supports EPG, subtitle and VBI / OSD Teletext. PSS6868, TS4060, SKYLINK Linux HD, AB CryptoBox 700HD, 650HD, 600HD, 550HD, 500HD, 500HDmini, 450HD, 400HD, 400HDmini, Enigma 2 receivers, MAG250, MAG 254 Ferguson, every EDISION и OPTIMUSS models, etc. 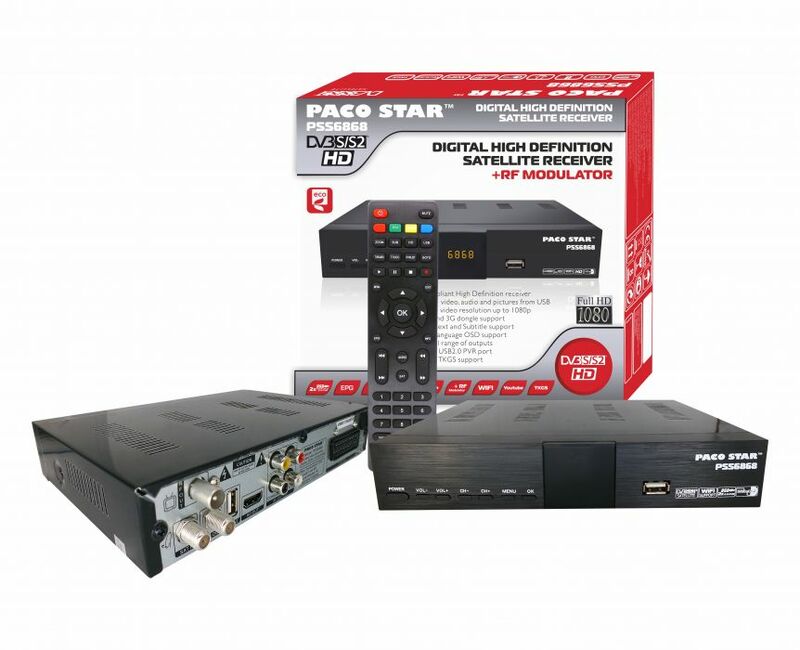 Combined HD Live DVB-T / T2 + Satellite Receiver PACOSTAR-TS4060, with RF Modulator, 39E automatic update, with up to 5000 TV and radio terrestrial and satellite channels. Metal box, front panel operation buttons and LED display, support for DiSEqC1.0 / 1.1 / 1.2,1.3 (USALS) motor, support for + 5V active antenna, connection to a wireless network via USB WiFi adapter( not included in the package) and many more advantages.